In 2014, automotive enthusiasts in Berlin founded the Erdmann & Rossi Club e.V. with our support. The club is intended to bring together interested parties, experts and collectors on a regular basis and to help understand and look back onto the history of the historical coachbuilder Erdmann & Rossi. The club was primarily initiated by the Automobilclub von Deutschland (AvD), one of the leading German associations for classic vehicles. The Erdmann & Rossi Club is the only registered association in the world that is permitted to organise exhibitions of historic Erdmann & Rossi originals, or events, using the Erdmann & Rossi brand. The club’s first major projects are to compile a register of existing original vehicles and detailed biographies of the main protagonists in the development of Erdmann & Rossi. 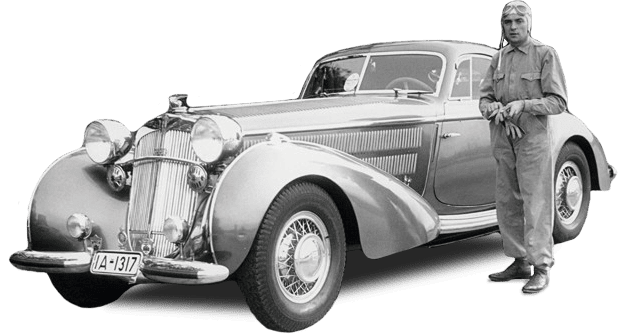 Any automobile enthusiast tanking an interest in the history of coachbuilders Erdmann & Rossi from the first half of the last century (-1949) can become a member of the club. The Erdmann & Rossi club website is available at www.erdmann-rossi.org. The website also provides the club´s articles of association and a registration form.